Ships tomorrow if you order in the next 19 hours 46 minutes. 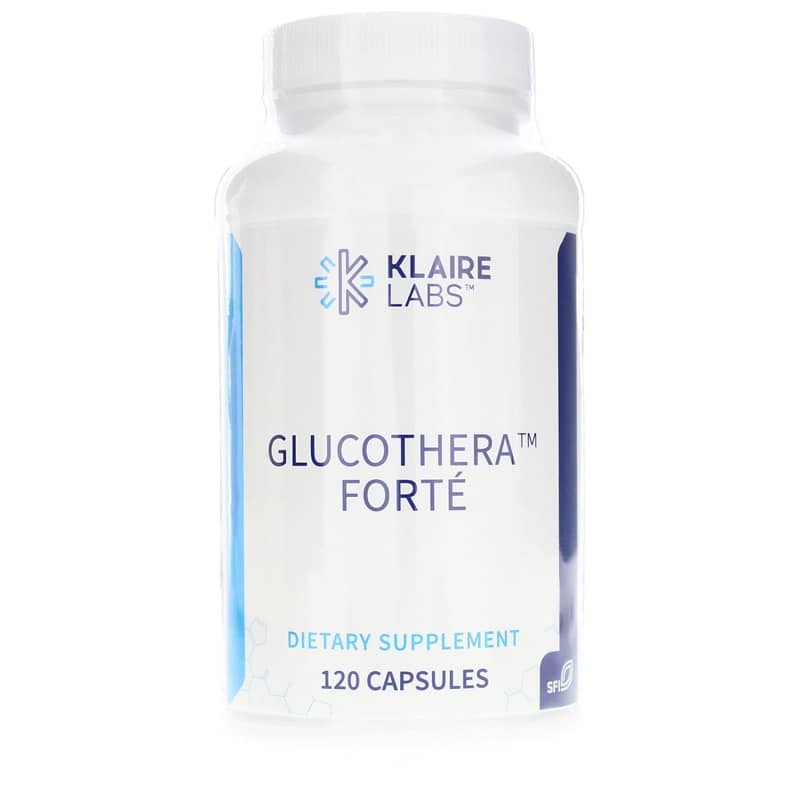 GlucoThera Forte by Klaire Labs is a natural blood sugar support supplement that supplies minerals such as chromium, herbs such as gymnema, antioxidants and other nutrients for supporting normal glucose metabolism. Glucose support formula enhanced with cinnamon, turmeric, and extra alpha-lipoic acid. Cinnamon enhances insulin-signaling pathways. Turmeric contains curcumin, a free radical scavenger shown to stave off AGE formation and cross-linking of collagen. Diabetics and others with impaired glucose tolerance are highly susceptible to the tissue-damaging effects of advanced protein glycation, a process that occurs when blood glucose reacts with body proteins resulting in various accumulated destructive effects on blood vessels, nerves, and the lens of the eye. 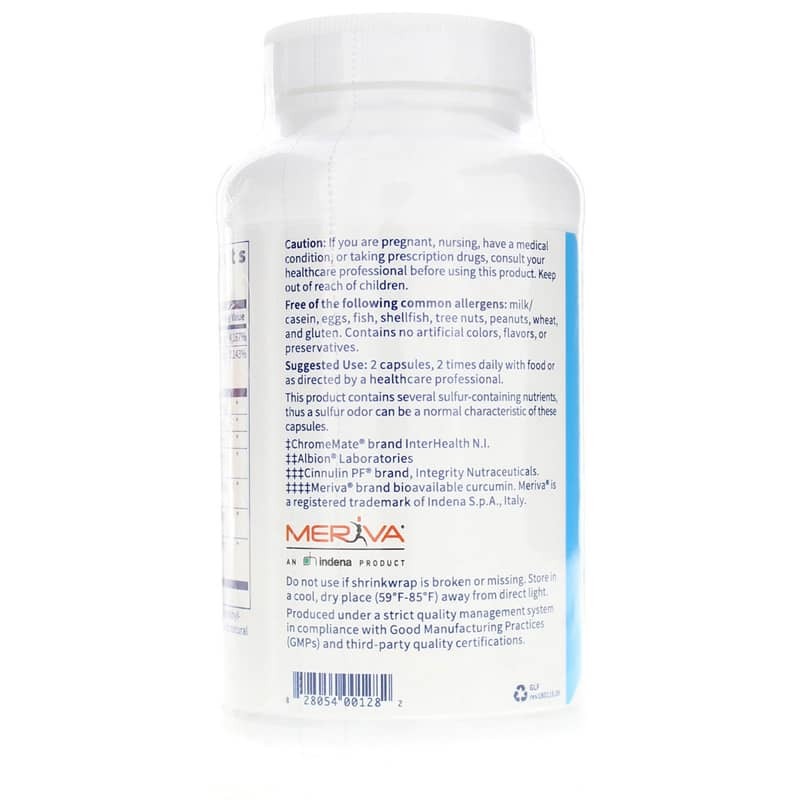 To minimize the potential for such reactions and provide focused support for insulin function, GlucoThera Forte supplies a potent mix of nutrients and botanicals that aggressively and efficiently support normal glucose metabolism, interrupt the glycation process, and provide antioxidant protection against tissue damage. Use with MultiThera multiple vitamin/mineral supplements for expanded benefit. 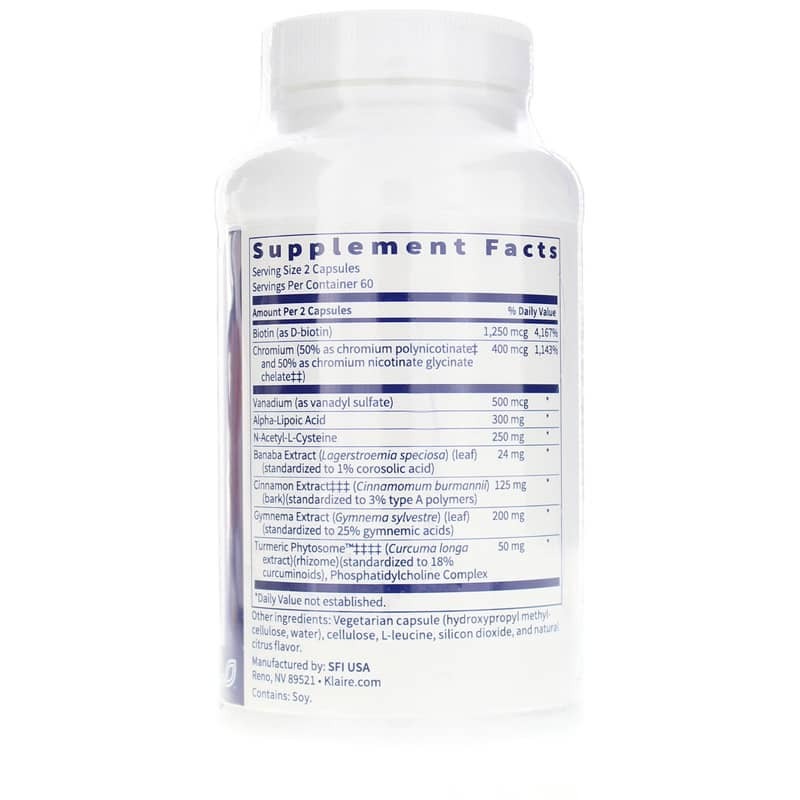 GlucoThera is recommended for those needing maximum support of glucose metabolism. Other Ingredients: Vegetarian capsule (hydroxypropyl methylcellulose, water), cellulose, L-leucine, silicon dioxide, and natural citrus flavor. Contains NO: milk, casein, eggs, fish, shellfish, tree nuts, peanuts, wheat, gluten, artificial colors, flavors or preservatives. Adults: 2 capsules 2 times daily with food or as recommended by a healthcare professional.